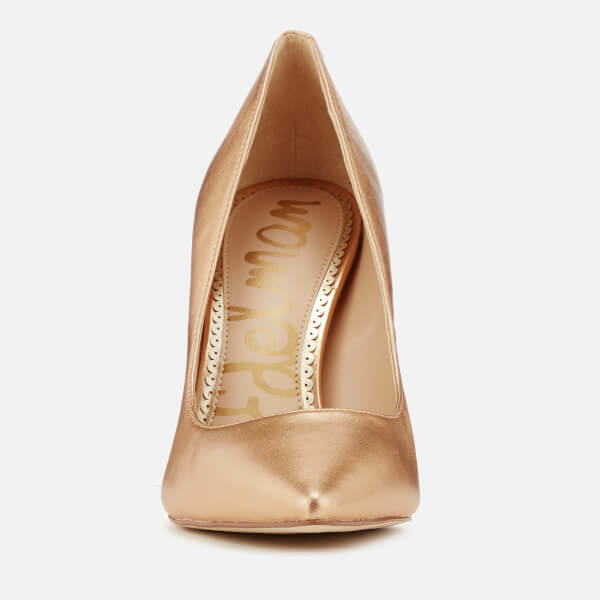 Women’s ‘Hazel’ metallic court shoes from Sam Edelman. Crafted in smooth, ultra-lightweight leather, the gold heels comprise a slip-on style with a pointed toe and improved cushioning technology for ultimate comfort. 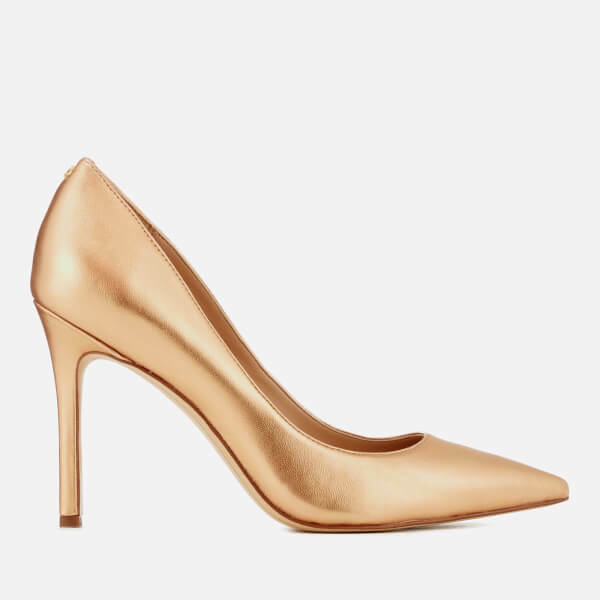 Boasting an elegant stiletto heel, the shoes are finished with a three-dimensional metallic logo.